Opened in December 1999 as the Star Cinema - Fitchburg (Star Cinema). It added an IMAX screen in 2005 and was renamed to the Star Cinema 18 & IMAX. It was purchased by Kerasotes ShowPlace Theatres, LLC. in 2008. 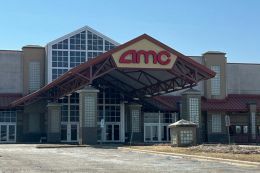 AMC purchased Kerasotes, and the theater was renamed to AMC Star Fitchburg 18 & IMAX. That name was shortened to AMC Fitchburg 18 in 2017. It was transferred to New Vision Theatres in 2017 and renamed to the Fitchburg 18 + IMAX. 15 15 comments have been left about this theater. This movie theater is near Madison, Fitchburg, Monona, Verona, Oregon, Middleton, Mc Farland.